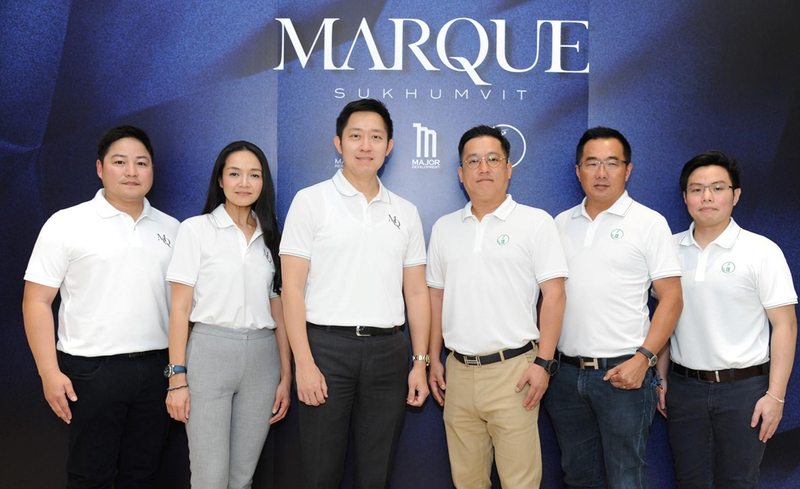 Major Development PCL held a press conference to unveil the new Golf Simulator for the first time, Located as Clubhouse on floor 7, a luxurious addition to the shared facilities of the MARQUE Sukhumvit project. The luxury condominium, a new landmark in Phrom Pong and Sukhumvit area revealed a new highlight, a Golf Simulator driving range, equipped with the most advanced technology in Thailand with models of over 170 world-famous golf courses. The Golf Simulator was developed by OB CLUB, a leading company in Indoor Golf Simulator, the first with such technology in Thailand. “Our key strength in development of this super luxury condominium project MARQUE Sukhumvit, lies in our attention to details. The building design was inspired by diamond shape that looks captivating and unique with the sharp apex at the top of the building. The user of reinforced glass helps to keep out heat, and the floor-to-ceiling windows give the resident in every room a great vista. Furthermore, the glass material is highly resistant to weather conditions, so we can be confident that the building will retain its stability and elegance over time. The design emphasizes openness, making it easy on the eye, and spacious living quarters along high quality materials set new standards to a metro lux style. With only 148 units in a 222 metre building and up to only 4 units per floor, we offer generously shared living area and facilities on 4 floors; on the floor 1, floor 7, floor 43 and floor 50. For residents who are particularly into sports and exercising Clubhouse on the floor 7 will answer all of their needs, including this Golf Simulator. The Golf Simulator is the ultimate highlight of this Clubhouse. It can be enjoyed individually or by the whole family from beginners to professionals, with the new technology to simulate the audiovisual conditions of a real golf course with up to 99% accuracy. The Golf Simulator in the condominium is attended to by a team from the OB CLUB, the first and only indoor golf service provider in Thailand. “We selected the latest technology that is designed to meet the needs of residents. Which makes a golf simulator very attractive in houses and condominiums. A key feature of the simulator is how it allows the whole family to spend time together. It will also be great for practicing. In addition to the golf courses models already installed, we will be adding the Alpine Golf Club model to the machine, one of Thailand’s top courses within early next year. We are certain that the residents of MARQUE Sukhumvit will enjoy this new level of leisure and entertainment before anyone else. Additionally, there are also such famous worldwide golfing range models as St Andrew, Pebble Beach, Fuji Classic, Hong Kong Golf Club that will give a fulfilling experience in virtual golfing. Rough fairway bunker when the ball falls in an obstacle, including Swing plate to adjust how to ball impacts the ground will all contribute to giving a more realistic experience, like that of an actual golf course. Facilities at of Marque sukhumvit on the floor 7 include an innovative saltwater ozone treated swimming pool made from imported carrard marble. The adult pool is 25 metres in length, with kids pool and adult. Moreover, an outdoor greenery terrace is out these for residents to come relax, as well as for hosting parties or gatherings. For fitness, there is a large complete gym room with “Technogym” equipment, squash court, yoga studio and a multipurpose room with full height mirror. Kid’s quarter is located right next to the pool with ball pits and playground. Other facilities include another multi-purpose room decorated with luxury furnitures imported from Europe and of course, a great view of the city. This is connected to the steam room, male and female sauna, and private massage rooms equipped to meet top hotels standards, where outside therapists are allowed to use the service. 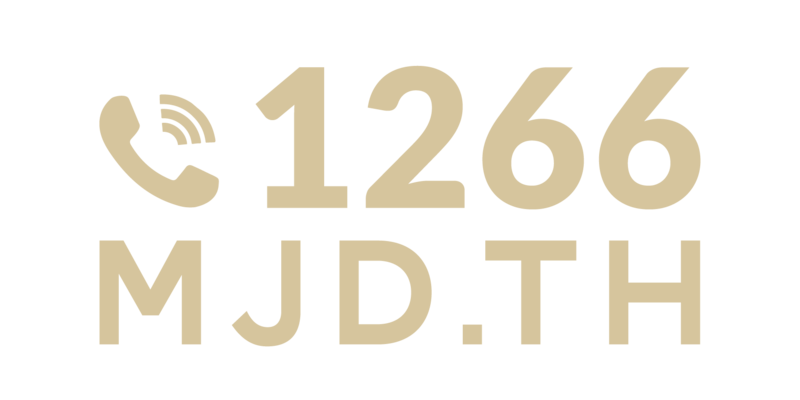 This corporation of world class real estate developer will transform Thailand’s condominium standards, making it much more than a home, and more importantly, it will answer to every lifestyle choices. To give customers the very best out of the central living space.